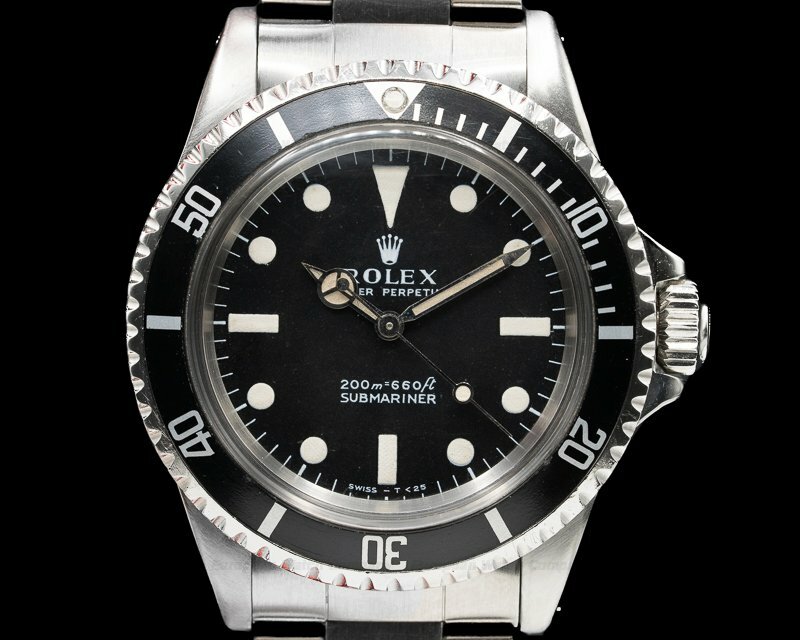 30415 Rolex 1680 Submariner, stainless steel case is in excellent condition on an original rivet bracelet (stamped 74), automatic Rolex caliber 1570, original matte black dial is in fantastic condition, tritium lume on the dial and hands is original and unaltered, date window with cyclops at 3 o'clock, acrylic crystal, screw-down crown, centered sweep seconds hand, COSC, water resistant to 660ft, 3.8M serial (circa 1974), diameter: 40mm, thickness: 15mm. Excellent Condition with original box, booklets, hangtags, original purchase receipt (for $490), and punched papers; which are undated. 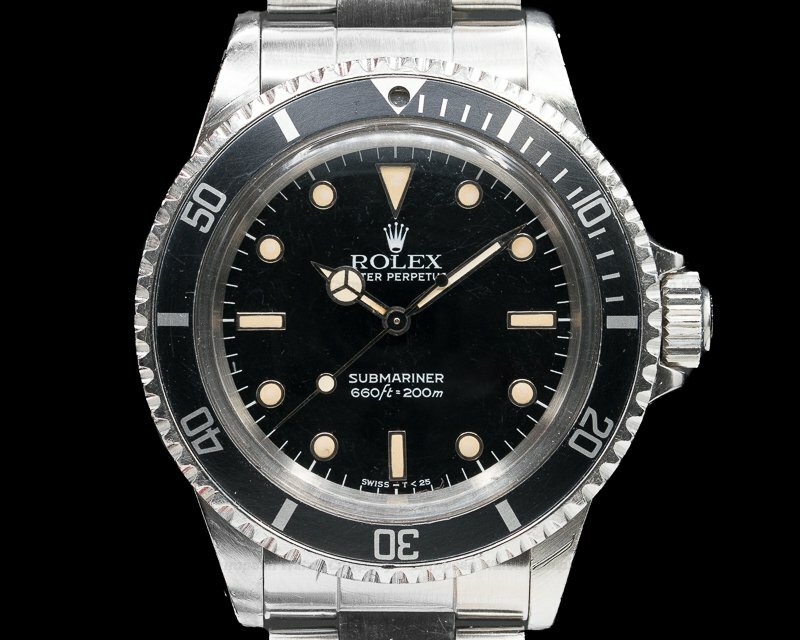 This watch also includes Rolex service papers from 3/2012. 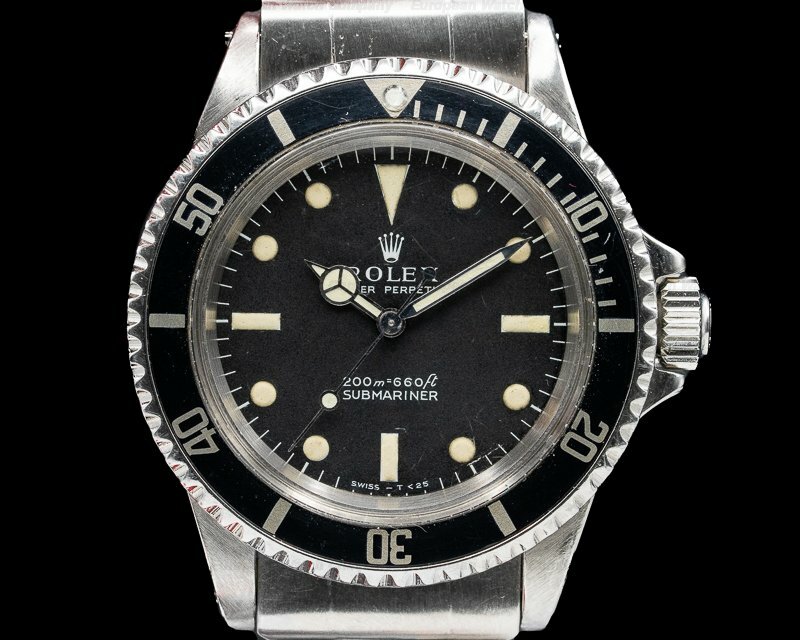 The watch was purchased from the original owner. 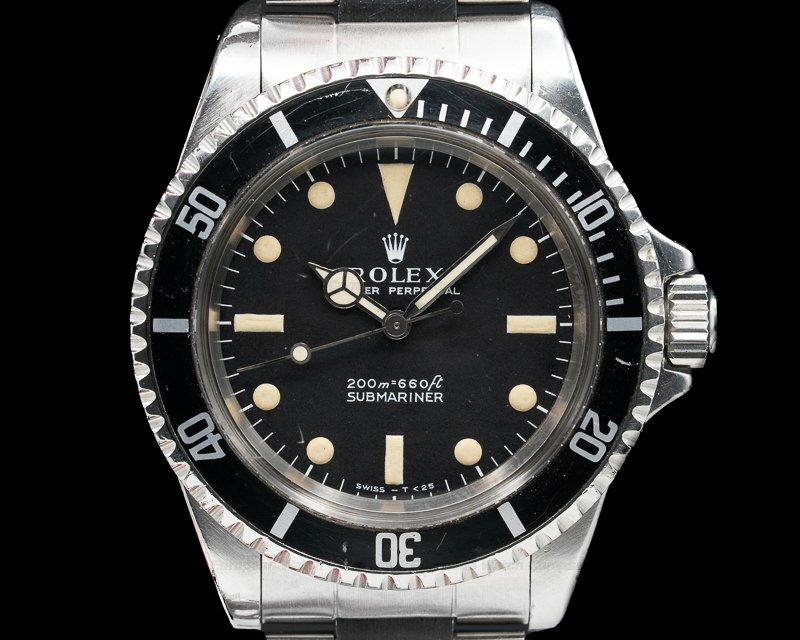 This is a vintage c. 1974 stainless steel Rolex Submariner, 1680. 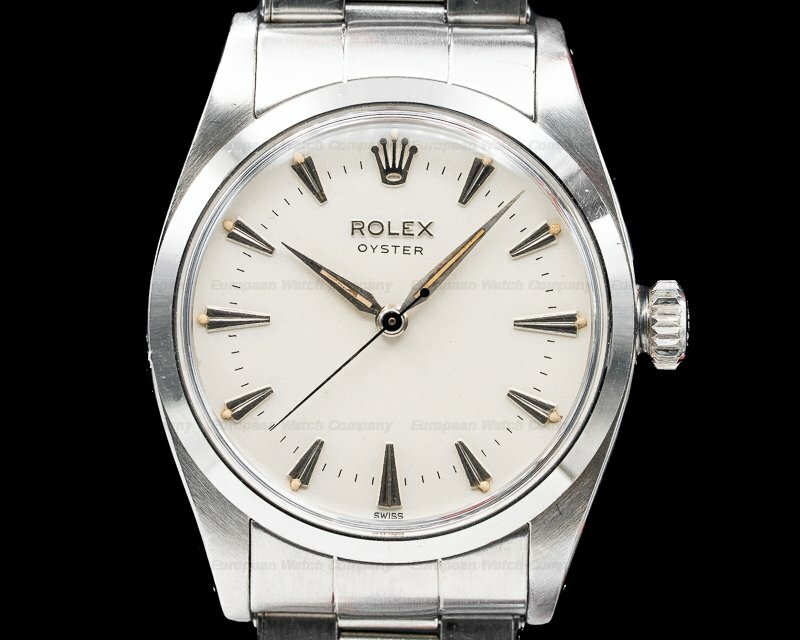 It has an integral stainless steel Oyster rivet bracelet and a "Top Hat" acrylic crystal with a Cyclops bubble that magnifies the date at 3 o'clock. In overall excellent condition, the 40mm diameter solid three-body case is polished and brushed with a screw down case back and crown. 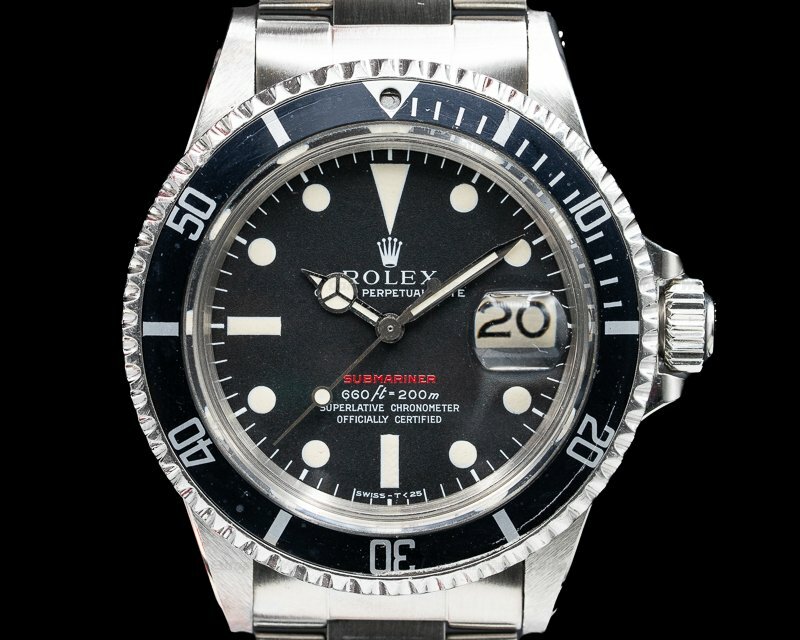 It has a bidirectional rotating black bezel showing ng decompression times, and a crown guard protects the Triplock winding crown. It has a an even and slightly creme-colored patina on the luminous steel baton hands and dot, triangular, and baton hour index markers. It has a center sweep second hand. An outer track has minute/seconds divisions, and the mechanism is COSC certified (officially certified Swiss chronometer). 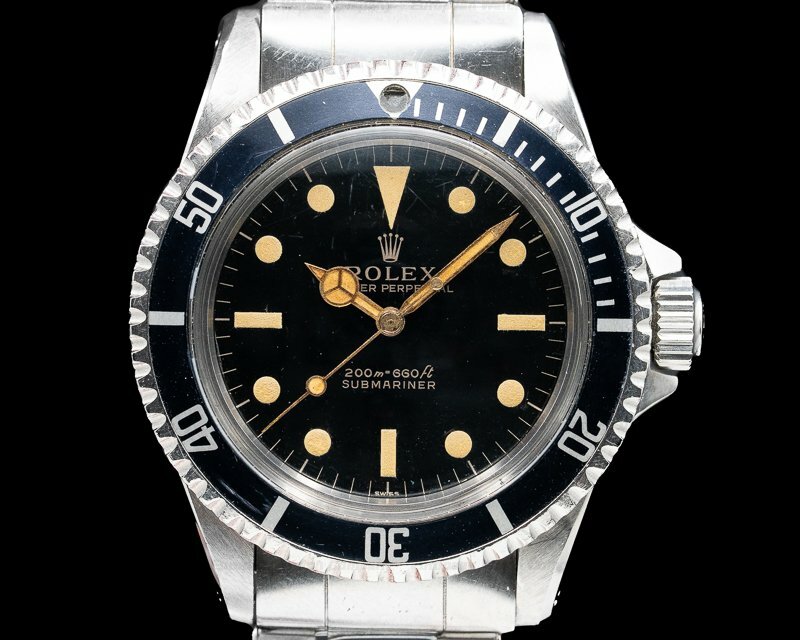 It's water resistant to 200 meters/660 feet, and the 15mm thick case, dial, and movement are all signed.